My friend and colleague Ihab is a funny guy, very smart, but most of all, he is a knowledgeable, proud member of the Druze faith and I find him absolutely fascinating. Mount Carmel was chosen as a UNESCO Biosphere because of the unique people that live there as well! 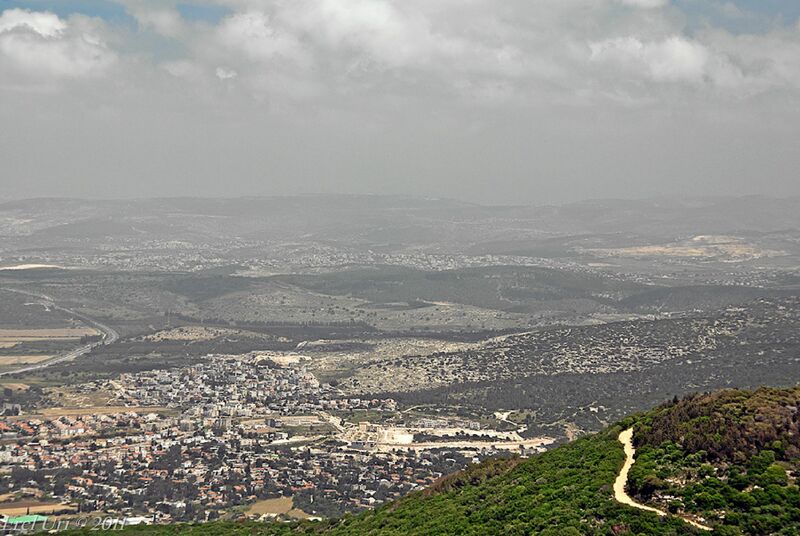 You see, Mount Carmel also houses two Druze villages, Daliat el Carmel and Usfiyye, my friend Ihab’s hometown. ” I love being a part of the UNESCO Biosphere” he declared proudly as he led us through his village, ” Makes me unique and special!” and so, ladies and gentlemen, he is correct. The Druze are a one-of-a-kind people. The history of the Druze reaches back about one thousand years, to the days of the Fatimid Caliphate, and the founding of Cairo as their capital in 969 c.e. The sixth Caliph Al-Hakim bi Amr al-Lah came to power in 996 as a young boy of 12 and was assigned several guardians to rule with him. In the year 1000, he declared himself emancipated, relieved his guardians of their duties and began a series of controversial and unprecedented progressive reforms that would mark him as one of history’s most enigmatic figures. Al Hakim ordered the streets of Cairo cleaned regularly, forbade the selling of goods at night in order to prevent cheating, and opened a new Office of Public Complaints. He also created an advanced academic center, the Dar-al-Hikmah (House of Wisdom) and invited astronomers, philosophers, theologians, historians, mathematicians and other academicians from all over the Muslim world to join him in study. Getting back to our story, two of the wise men that accepted Al Hakim’s invitation to join him in the House of Wisdom were Hamza bin Ali and Nashtakeen ad Darazi from Persia and the three delved deeply into discussions of philosophy and theology. In 1017, Al Hakim announced the creation of a new religion based on Islam and blending Islamic monotheism, and some Greek philosophy and Hinduism. He appointed Hamza as the leader of the new movement, sent him and ad-Darazi out to spread the word, and the newly formed religion started accepting new believers. The new ideas spread slowly, by word of mouth and personal relationships, and was especially welcomed by two large tribes in the mountains of Syria and Lebanon who readily adopted the new religion. A serious conflict soon arose between ad-Darazi and Hamza. Ad Darazi apparently wanted to take over leadership of the budding religion, was named a heretic and a traitor and was eventually put to death. Al Hakim mysteriously disappeared in 1021, leaving no trace behind except his donkey and some bloodstained clothes. The Druze believe he will one day return… Hamza went into retreat when Al Hikma disappeared but continued to lead the new religion from his hiding place. In 1043 c.e., twenty four years after the new religion was announced, its gates were closed and no new converts have been accepted since. Later historians mistakenly named this new religion Druze after ad-Darazi, even though for some adherents that is insulting since he is considered a heretic and the first traitor to the faith. The people call themselves al-Muwahhidūn, the Monotheists. All Muwahhidun souls reincarnate, men into baby boys and women in baby girls. No souls are lost, they come back into a Druze baby somewhere around the world. Everyone alive today is the reincarnation of someone who lived before therefore the population of Muwahiddun has remained constant since 1043. Because the Druze believe in reincarnation, they are buried in simple, name-less graves and there are no grieving or remembrance rituals for the dead. The Druze faith accepts no converts, no matter how much you want to join. The gates were open for one generation and are now sealed. The Druze argue that individuals who believe that God will forgive them if they fast and pray, will commit transgressions in the expectation of being forgiven – and then repeat their sins. The Druze therefore eliminated all elements of ritual and ceremony from their daily life. There is no fixed daily prayer, no holy days, and no pilgrimage obligations. 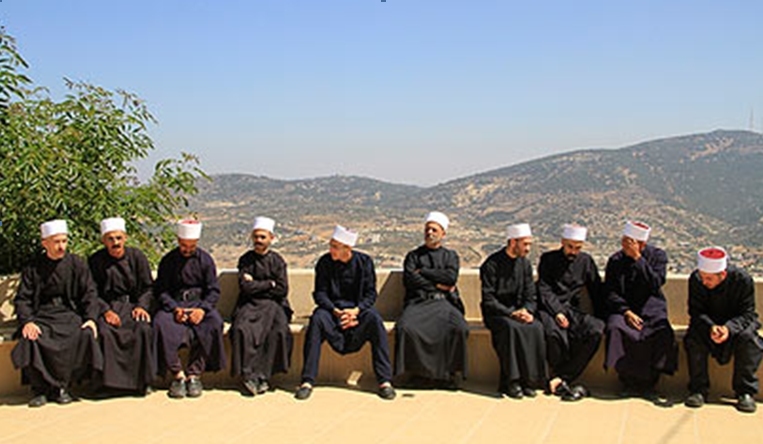 The Druze believe they live in the presence of God at all times, and need no special days of fasting or atonement. 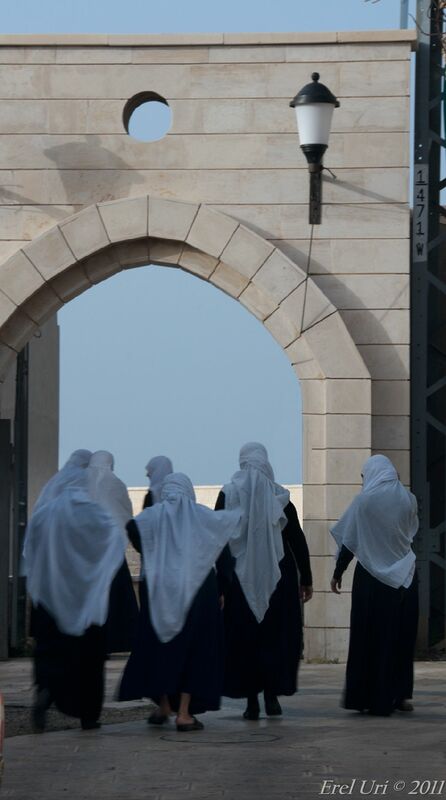 The Druze faith is secretive, not only to the outside world, but also to its own uninitiated. The children are not required to follow any rituals, ceremonies or do any learning until the age of 15. From the age of 15, a Druze MAY choose to join the uqqal (“knowers”) at any age, and to learn and follow the ancient tradition. 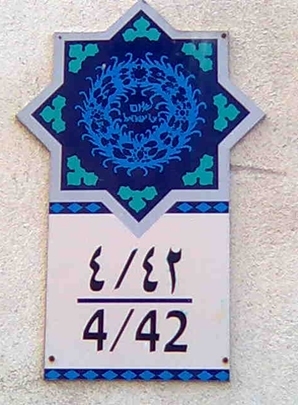 Only around 15% of the Druze eventually make the commitment and join the uqqal. 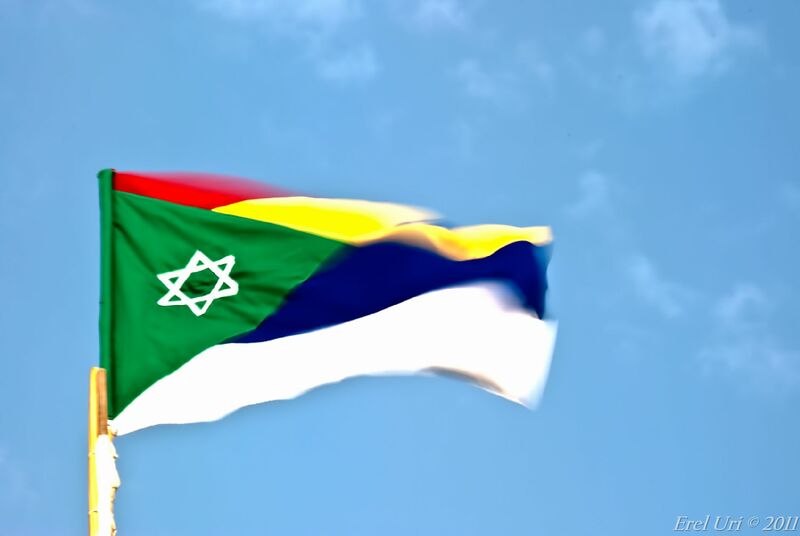 The Druze faith discourages nationalism but instructs the Muwahhidun to live under whichever government rules their land and as a result the Druze do not seek independence. The Syrian Druze feel Syrian, the Lebanese Druze love Lebanon and the Israeli Druze identify themselves as Israelis. Israeli Druze feel a very strong bond with Israeli Jews, a ‘Blood Bond’ as they call it, as the Druze serve in the Israeli military and many have died alongside their Jewish army buddies. Today, the Muwahhidun live mostly in the mountains of Lebanon, Syria and northern Israel, although there are Druze communities all over the world. The lovely village of Usfiyye is one of two (the other is Daliat al Carmel) that remain from about 22 Druze villages founded in the area starting in the 16th century, the two southern-most Muwahhidun villages in the Middle East. They are both famous for their strong ties with the people of Israel and their legendary Druze hospitality. As a matter of fact, Ihab’s grandparents graciously hosted all 45 of us in their home where we were fed a delicious breakfast. The only remnant of the 5th century synagogue mosaic floor visible today, located in a local home’s front yard! Usfiyye was built on the ruins of the Jewish village of Husseifa which dates back to the 5th century c.e. 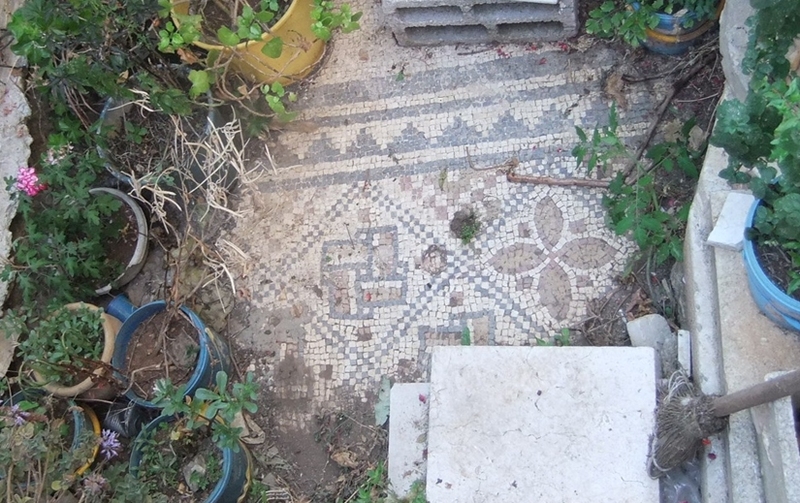 Remnants of an ancient synagogue mosaic floor with the inscription “Peace upon Israel” were found in 1930 in the front yard of one of the local homes! Not only that, but a local farmer found a treasure stash of about 4500 ancient Jewish coins from Roman times buried underground, and knowing they were worth much money, sold them slowly, one by one to help his family. The coins eventually ended up in a museum. Ihab knows I am writing about him and it embarrasses him slightly. However, he wants me to be sure and invite all visitors to Israel to his beloved Usfiyye. He’ll arrange for a host family to take you in for a delicious meal and who knows, maybe you’ll end up at his grandparents’ home!